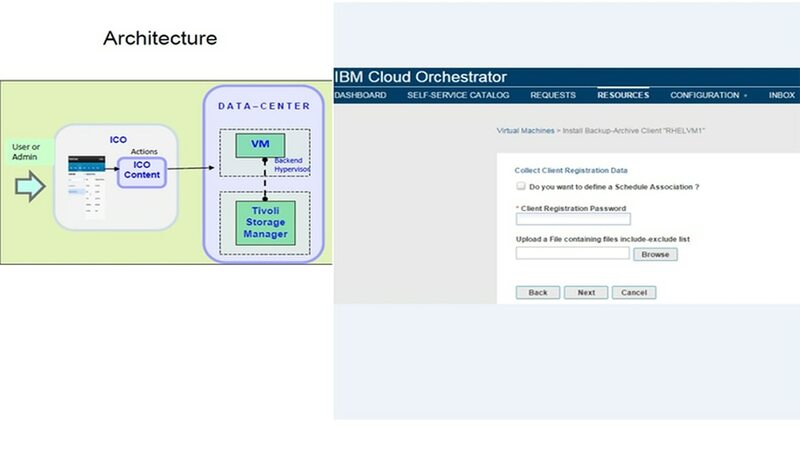 With IBM® Cloud Orchestrator Content Pack for Tivoli Storage Manager, you can use your existing IBM Tivoli® Storage Manager environment from IBM Cloud Orchestrator ‒ and vice versa ‒ to explore the backup and restore functions of Tivoli Storage Manager. The Content Pack exposes Tivoli Storage Manager capabilities to orchestration workflow designers and end users via the self-service catalog. This offering helps you install, register, modify and unregister a Tivoli Storage Manager instance and define backup and restore parameters. 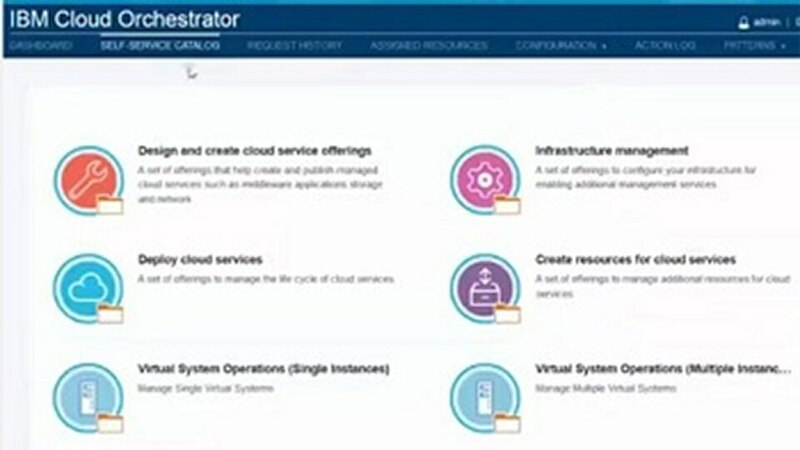 Use a self-service front end to your IBM Cloud Orchestrator action registry to expose features built on the Tivoli Storage Manager infrastructure. Become more agile using self-service features and automating virtual machine backups during lifecycle operations so IT administrators can spend more time on strategic tasks. Protect data immediately and automatically across all service element components following lifecycle operations.